Getting frustrated with bed bug bites? 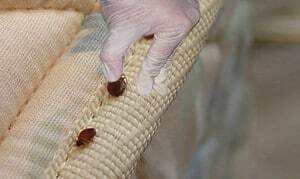 Looking for a permanent solution for residential or commercial bed bug removal in Vancouver, White Rock, Delta or Surrey? Then start with understanding the problem by observing its development, features, traces of presence, etc to completely eradicate them from your environment. 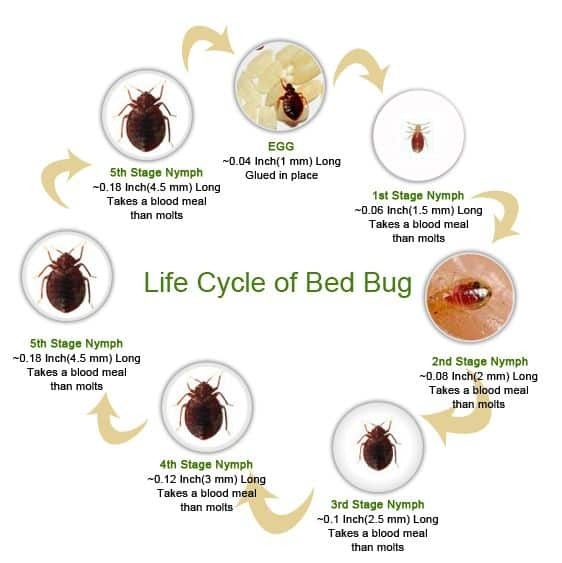 Bed bugs are parasitic insects that tend to feed directly on human blood in every stage of their development. The eggs of these bugs are 1mm long and undergo five developmental stages in reaching maturity. It grows rapidly under favourable conditions of 70 to 90⁰F and feeds on human blood at regular intervals which is the essential component of their growth. They attain complete development in just two months from their hatch. An adult female can lay up to 500 eggs in its lifetime, 5 eggs per day as standard, and are found deposited in bed folds, cracks and crevices. Immature bugs (nymphs) will be small, light brownish and oval in shape measuring approximately 6mm long. Newly hatched nymphs are translucent and are very hard to detect through naked eyes. Nymphs develop maturity and may appear bright red in colour once they feed on human blood. The matured bugs are relatively flat and wide, they can crawl swiftly on both horizontal and vertical surfaces. The eggs are whitish, small and mostly resemble like a dust speck. What is the Nature of Bed Bugs? Bed bugs are tiny, allergenic parasites that wholly feed on human blood. As the name implies, these insects have human bedding or other sleeping areas as their preferred habitat. Bed bugs remain active at night; they crawl out and feed on human blood just like a mosquito. They often dwell in crevices, cracks, mattresses and box springs. One of the interesting biological behaviours of these bugs is that they sense human presence by the body heat and carbon dioxide produced by an individual. Read more information below, or just call us at 604-805-0278 for bed bug control in Vancouver Downtown, Surrey, Delta, White Rock, Langley, and all metro Vancouver.